This is a sheet of gasoline ration stamps for 1/24 and 1/25 scale model cars and G scale dioramas. These are suitable for use in any car or truck model or layout in a comperable scale. This sheet is printed on photo paper using photo dyes for durability. 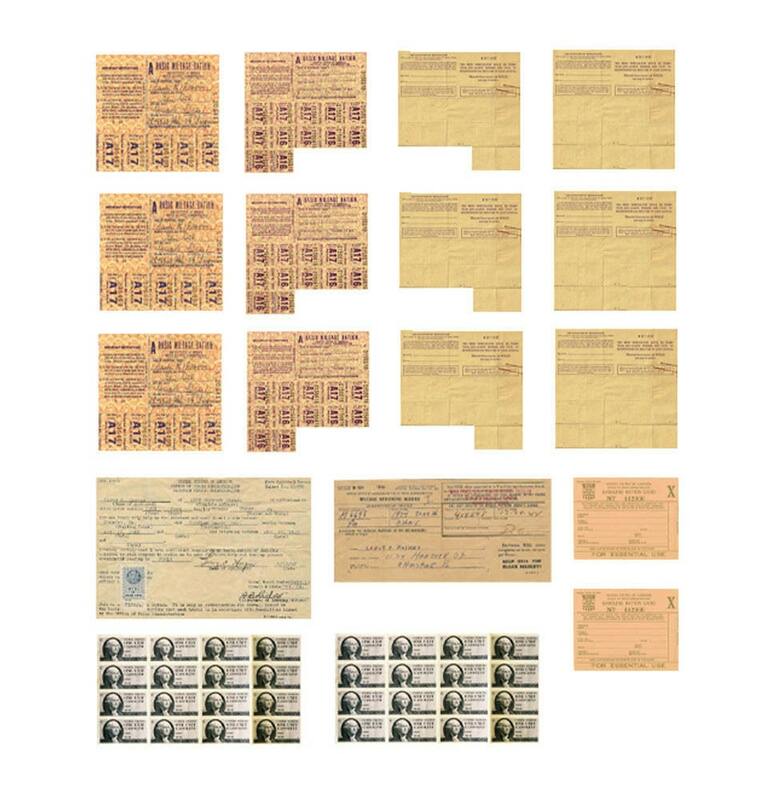 This sheet replicates in scale various U.S. World War II era gasoline ration stamps and documents, as well U.S. gasoline ration stamps created for the 1973 oil crisis. These are scale stamps for scale model cars. They are not actual stamps.